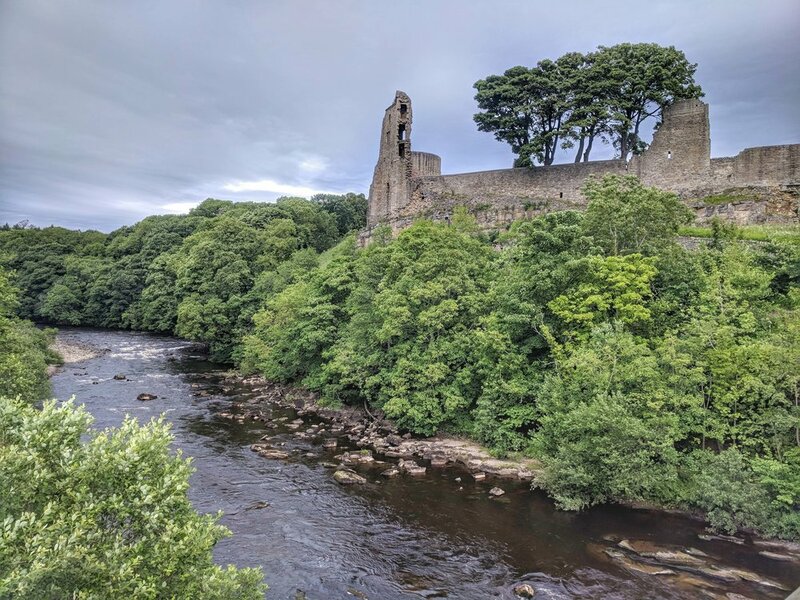 After leaving Cumbria we headed across to the eastern side of England, stopping for a couple of nights at Barnard Castle which really does have a castle. It also happened to be the home of an award winning fish & chip shop that we didn't try since that habit has been getting a little out of hand. I pointed out to Iain that deep fried food more than once a week seems a little excessive. He hasn't shut up about missing out since. After that brief stop we moved to a cute little CS location just outside Darlington. We didn't have a burning desire to visit Darlington, in fact we didn't set foot in the town, but we did have an appointment to attend a motorhome maneuvering course organized by the Caravan and Motorhome Club. Iain is pretty adept at driving but I want to do my share and decided a course would give me a little more confidence. Iain decided to do it with me to avoid any disagreements on what was the best way to drive this thing and preserve marital bliss. It was actually a fun day, we learned quite a bit. Mostly about using our mirrors a lot more than currently and for me especially, I now feel I have the confidence to drive more frequently. We spent the rest of the weekend in the area and had a fabulous bike ride to the nearby town of Yarm. You can reach the town via low traffic country back roads through some charming countryside and villages. Yarm itself was pretty and very lively on a sunny Saturday. It was a perfect place for lunch before cycling back again. 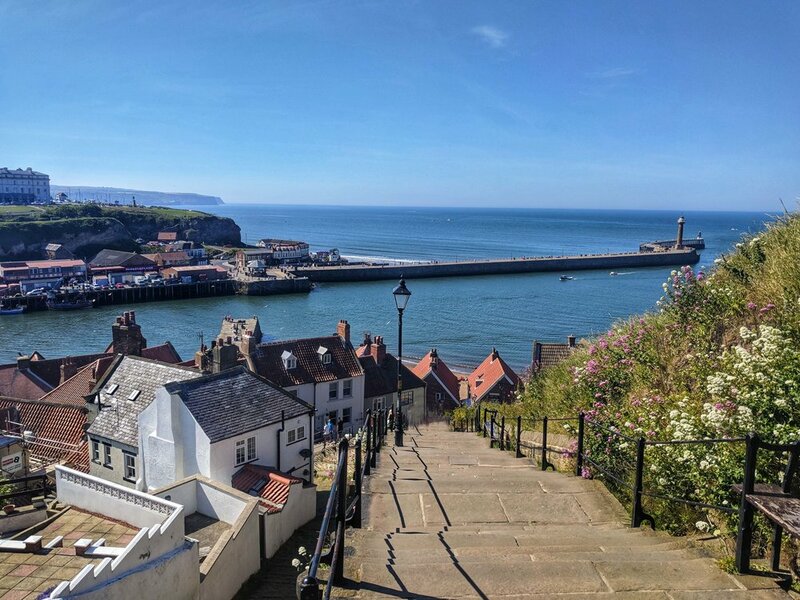 Our final stop before making some serious moves southwards was the old fishing town set in the North York Moors, Whitby. We knew nothing of the town at all but we were pleasantly surprised by how scenic it was. 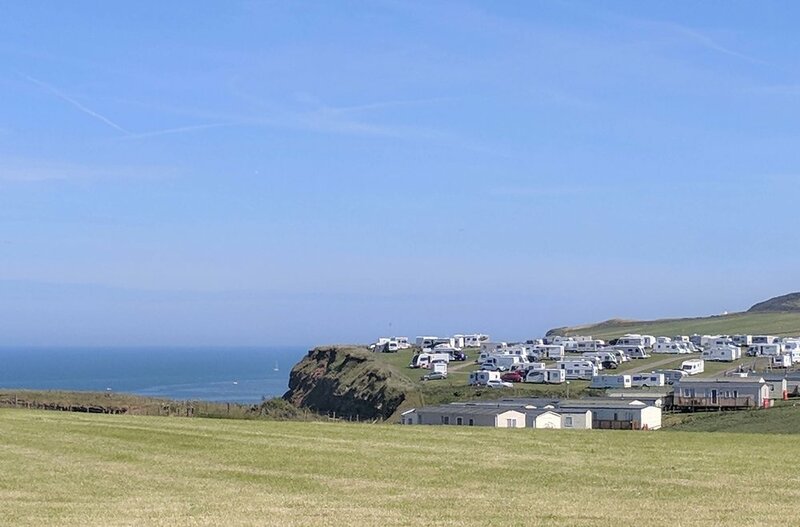 It helps that the weather has continued to be amazing and we stayed in a cliff top campground overlooking the North Sea just 20 minutes walk from the town. Whitby Abbey dates back to the 7th century and cuts an amazing silhouette on the clifftops of the town. 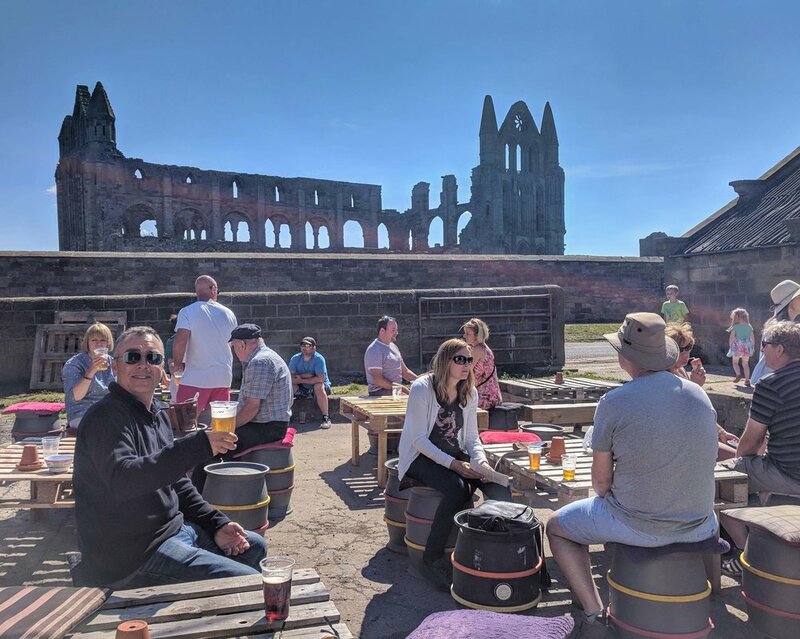 We became even more enamored with the place when we found Whitby Brewery a stones throw away from the abbey where we enjoyed some great brews in the shadows of history. The rest of the town of Whitby is utterly charming too. 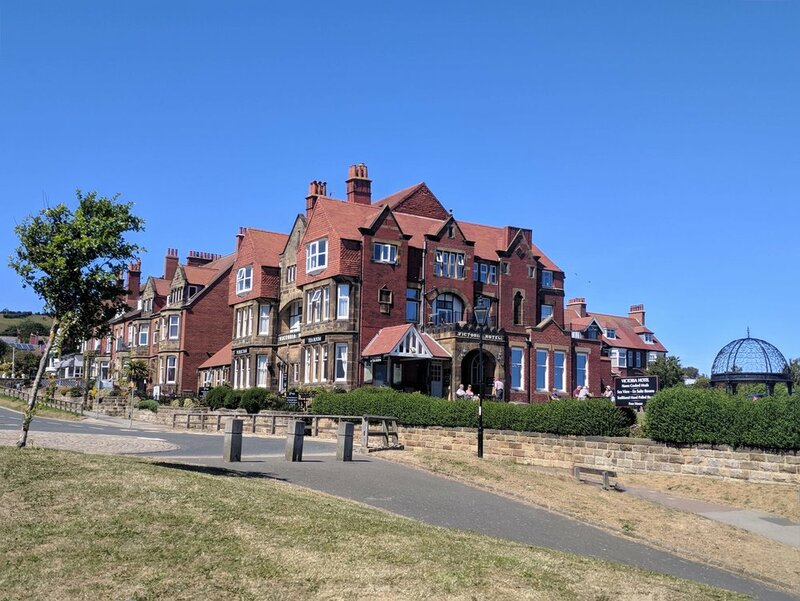 An old-fashioned English seaside town that somehow is managing to keep itself relevant; that's a rarity in many of the coastal towns that are past their heyday. Drinking local beer at a brewery in the shadow of the abbey. 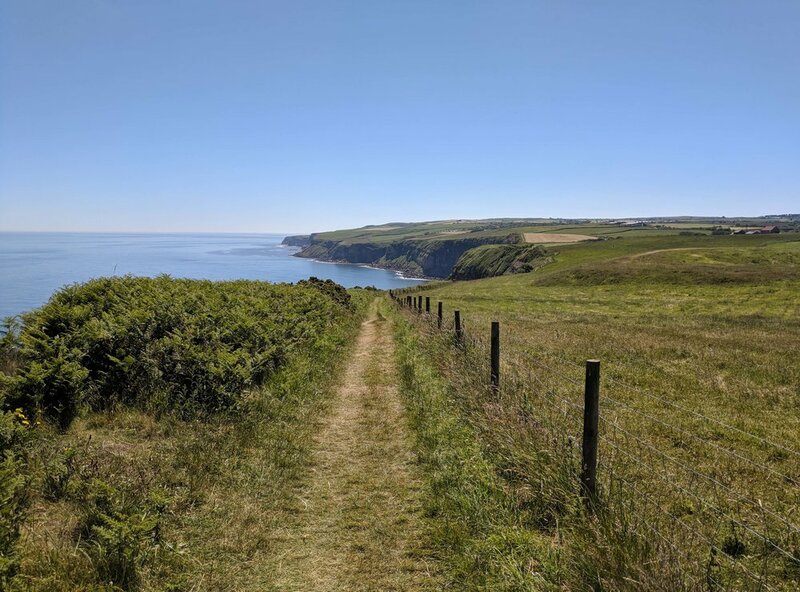 The campsite we stayed in was on the Cleveland Way, a gorgeous stretch of the English coastal path. We took the five or so mile walk to Robin Hood's Bay on what was one of the most blisteringly hot days we have had so far. The hike was beautiful, I couldn't stop myself from taking photos every five minutes along the route. We stopped to eat our lunch along the way, alongside a field of cows who decided that we a little special sauce (cow fart flavored) would add to the ambiance of our picnic. Yum! The path had very little shade and we were more than a little exhausted when we reach Robin Hood's Bay and came to realize that this is a very hilly town. After rewarding ourselves with an ice cream we decided to abandon our plan to walk back again opting for a bus ride instead. 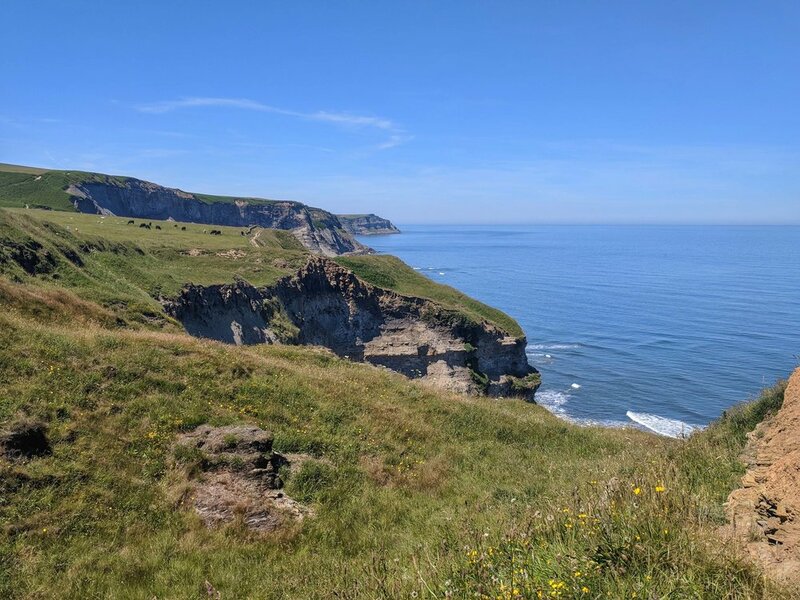 The York Moors National Park is a new area of the country for both of us,and we were so pleasantly surprised by what we found. The beautiful natural and man made scenery was perfected by the glorious sunshine. Given it was a few weeks since we last partook, we even enjoyed the fish and chips that Whitby is famous for. All in all a fantastic few days in the English countryside that not even bovine flatulence could mar.